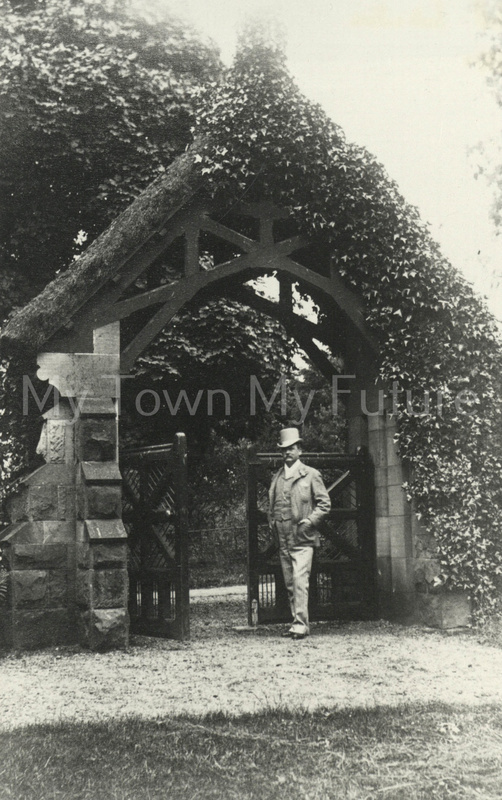 This photo is of the gateway entrance of Gunnergate Hall in Marton, Middlesbrough. Photo taken in 1880. This photo is from just the inside of the driveway of now 84 Gunnergate Lane, the original hunting lodge and 1 of 3 lodges. The gate entrance you see is still standing today, but without the lych. The road in the background is Gunnergate lane.